On a high bluff overlooking the river, discover this beautiful Georgian summer home that was the home of a Mayor of Philadelphia – and a property seized and regained during the Revolution. Laurel Hill exterior. Photo by Samantha Madera, 2012. Rebecca Rawle, a wealthy widow with three young children, built this small country house around 1767. Her second marriage was to the British Loyalist and former Mayor of Philadelphia Samuel Shoemaker. Her home was seized during the Revolution, and the years that followed were difficult for Rebecca and her family. Rebecca spent several years trying to reclaim her house, which was sold in 1782 to Major James Parr. She was able to buy back Laurel Hill and pay off some debts in part by using some of the profits on the produce raised at the home, including strawberries, cabbages and vegetables. Her son, William Rawle, inherited the home in 1819 and for many years, he would spend summers with his family at Laurel Hill. William practiced law, was the founder of the Philadelphia Bar Association and was involved in many of the city’s civic and cultural organizations. In 1869, the house was purchased by the City of Philadelphia as part of the formation of Fairmount Park, including serving for some years as a headquarters for the Fairmount Park Guards. 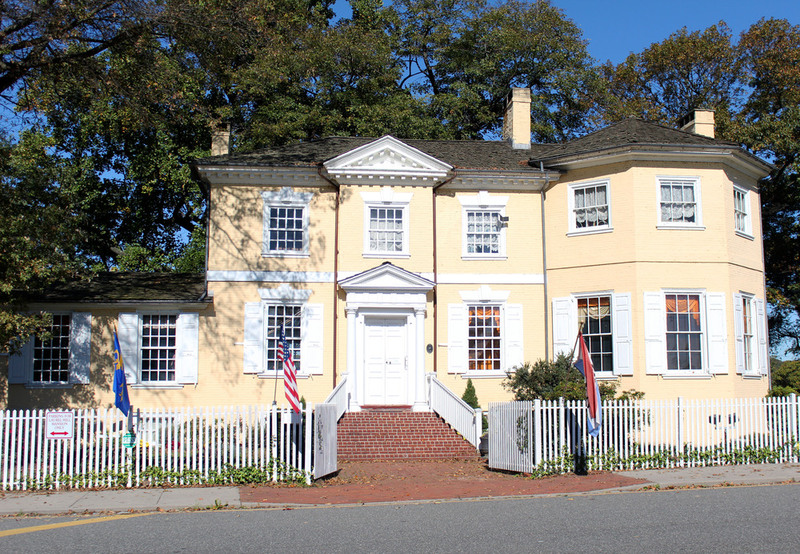 Laurel Hill originally consisted of a two-story Georgian brick structure with a symmetrically placed entry and a gallery of windows on the first and second floors. In the late 18th/early 19th century, a small single story wing was added to the south-side of the home. Soon thereafter, the unique two-story octagonal wing was added to the north side. Come see the ground floor rooms furnished in the popular styles of in the late 18th century, as well as portraits of former occupants. Decorative items include musical instruments such as an English pianoforte from 1808 by Broadwood and a harp from the early 19th century. And be sure to see the high chest on display! 1808 pianoforte. 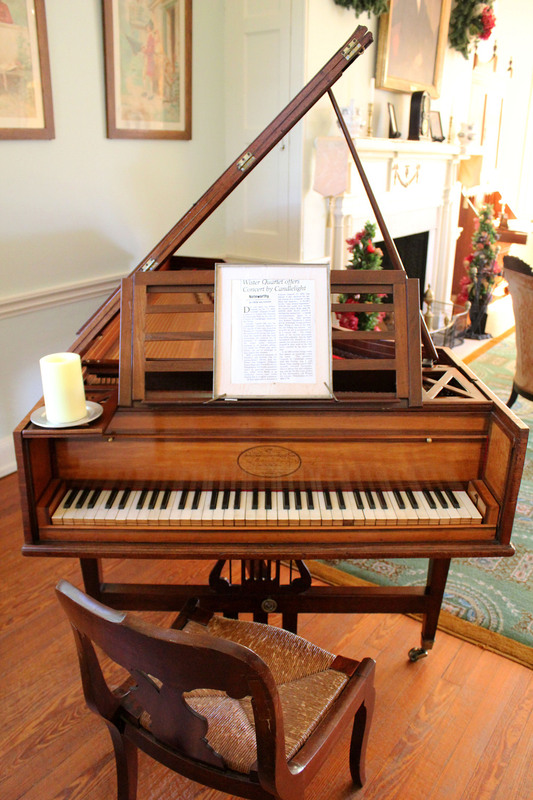 Music was part of life at Laurel Hill; and continues today through the annual Concerts by Candlelight series. Photo by Samantha Madera, 2012. 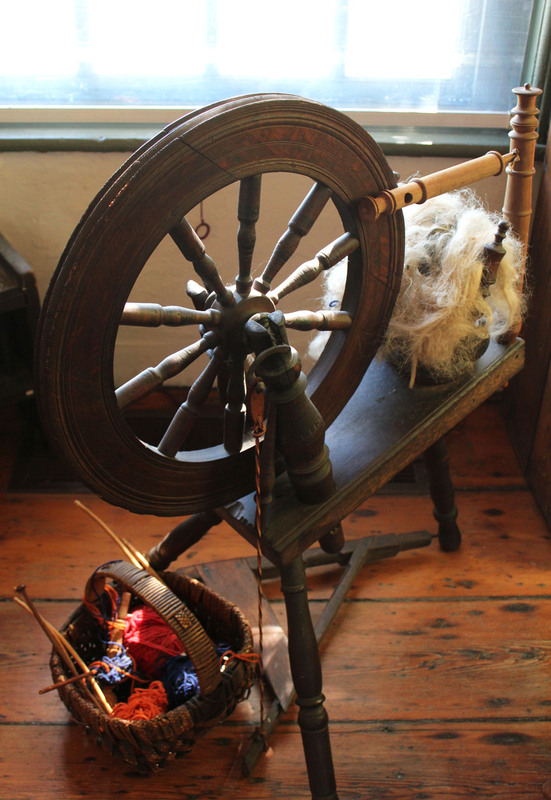 Spinning wheel, Laurel Hill kitchen. Photo by Samantha Madera, 2012. View of the Schuylkill River from Laurel Hill porch. Photo by Samantha Madera, 2012. One of the most visible houses that ring the river, Laurel Hill has a prominent location on a high bluff overlooking the Schuylkill River. There is an amazing and surprising view as you look out across the back porch and imagine the past. Located in East Fairmount Park, Laurel Hill's secret backyard view is not to be missed. Each of the Charms houses is represented individually in the logo. These key icons are based on the unique qualities of each home --- here the Laurel Hill key icon refers to the octagonal rooms in the house. Check out Laurel Hill Mansion's website here. Follow Laurel Mansion on Facebook here.